Wealth is probably one of the most important elements of an enjoyable life in the Western World. It is sad to say but there is no doubt that financial standing opens doors to experiences and opportunities which those without wealth are unable to obtain. For this reason, protecting your wealth is a hugely important element of every life. There are many ways to protect wealth and this article considers the most important ones. 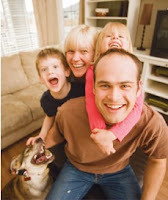 Insurance is possibly the best way to protect yourself from any loss of wealth. Life insurance will ensure that even a death will not threaten finances, health insurance will help to pay the bills in emergencies, and income protection insurance will ensure that the money keeps coming in. Additional types of insurance like auto insurance, home insurance and pet insurance can practically cover you from every eventuality. The best way to protect wealth is to make it grow. Money sitting in a bank account is money largely wasted. Investing your money does, of course, come with risks, so clever money management is required. Spending your savings, however, is not a good way to protect your reserves of wealth at all. There are numerous ways to invest and all investments will take both commitment and research to achieve successfully, but investing is certainly the best way to improve financial standing. Investing is all well and good, but events like the Global Financial Crash have taught us that putting all of your eggs in one basket, so to speak, is not a wise move. To protect your wealth it is important to diversify your income so that you may benefit from the security of multiple ventures. Having a diverse array of investments means that even if one investment fails, there will still be others from which to recuperate any losses. Those who maintain their level of wealth most effectively are those who live within their means. Excessive spending on luxury items is perhaps the quickest way to squander wealth. Even those from low socio-economic backgrounds can vastly improve their standing by saving and investing wisely. The aim should forever be for the amount of wealth that you have to grow on a weekly to monthly basis. Only through this style of living is it possible to maintain wealth and improve your standing. Whilst accountancy fraud is perhaps the fastest way to loss of wealth and standing, clever manoeuvring within the law is potentially vastly beneficial. If you run a company, for example, there is little doubt that there are expenses which can be put on hold or made in order to benefit from tax breaks or rebates. There will also always be allowable expenses, which you can claim back from taxes if you position yourself correctly within the market. Manipulating your expenses and your investments to fit into the most beneficial framework of tax breaks is entirely legal and it will ensure that your wealth continues to grow healthily over time. It is indeed very important to have some form of insurance cover in place. You may resent having to pay a monthly premium but at least you can be sure that your family's financial security won't be compromised in times of uncertainty.